Many birds like to explore and find places like vents to make their nests. These vents include dryer and more common bathroom vents. They will even open some vent flaps or doors on them to gain access. These nests can contain many live and dead birds along with mites(bugs) that feed on them. In some cases the bugs will migrate to living areas and try to feed on humans. They cannot cause an infestation without live bird blood to feed on so once birds are removed the mites cannot survive long term. It is best to have a bird screen installed on outside of all vents and remove and replace any duct that had nesting or birds. 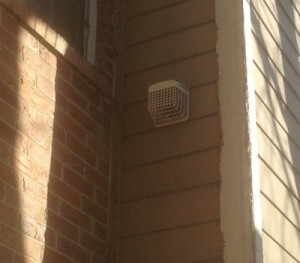 Wildlife & Waterfowl Solutions LLC will install bird screens for vents and remove/replace damaged ductwork.